The Global Food Preservatives Market size is expected to reach $3.1 billion by 2023, rising at a market growth of 4.1% CAGR during the forecast period. Food preservatives are added during food processing to improve stability and at the same time avoid spoilage. Though there are wide ranges of preservatives, very few are used during processing of food. Traditionally, salts, sugar, and spices are largely used in the preservation of meat and other food types. Food preservatives prevents the growth of microorganisms, and as a result, inhibit or delays the process of food spoilage. Food preservatives are classified into non-toxic and moderately toxic. Non-toxic preservatives are used in processing food without too many regulations; however, the moderately toxic variants are regulated by relevant regulatory bodies such as the U.S. FDA and European Food Safety Authority (EFSA), which are identified by appropriate index (INS or E) numbers. Based on Component Type, the market report segments the market into Natural and Synthetic. Natural Type includes Edible Oil, Rosemary Extracts, Natamycin, Vinegar, and Others. Synthetic Type includes Sorbates, Propionates, Benzoates, and Others. Based on Function, the market report segments the market into Anti-Microbial, Anti-Oxidant, and Others. Based on Application, the market report segments the market into Meat & Poultry Products, Bakery Products, Dairy Products, Beverages, Snacks, and Others. Based on Regions, the Food Preservatives Market segments the market into North America, Europe, Asia Pacific, and Latin America, Middle East & Africa. 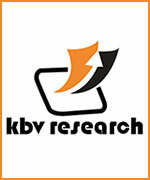 The market research report covers the competition analysis of key stake holders of the Global Food Preservatives Market. Key companies profiled in the report include Archer Daniels Midland Company, Akzo Nobel N.V., Kemin Industries, Inc., Cargill, Inc., Celanese Corporation, Univar, Inc., Koninklijke DSM N.V., Kerry Group, Tate & Lyle Plc., and BASF SE.